The executive order was signed during Trump’s visit to the headquarters of Snap-On. Donald Trump has finally signed the executive order that aims at putting an end to the abuse of the popular H-1B skilled-worker visa program. This work-visa category has been in contention after a few American firms were found misusing it by replacing skilled domestic workforce with low-skilled immigrant workers at a minimal wage. The executive order Buy American and Hire American has directed the federal agencies to come up with new rules and issue guidance to overhaul the existing immigration system, to protect the jobs of American workers and to prevent fraud or misuse of the visa program. The President has asked the Secretary of State, the Attorney General, the Secretary of Labor, and the Secretary of Homeland Security to draft the new H-1B rules as soon as practicable so that H-1B visas are awarded only to the most skilled or highest-paid petition beneficiaries. Trump’s latest executive order is aimed at creating jobs with higher wages for American workers and to protect their economic interest. The executive order will make the entry of foreign workers to the United States more rigorous, making sure that only workers with special skills get the benefit of the H-1B visa program. The executive order also calls for creating good jobs with decent wages to promote US economy and national security, and to foster the economic growth. The executive order “Buy American and Hire American” asks the federal agencies to strengthen the US middle class, and support the American manufacturing and defense industries. “It’s a well-known fact amongst those who study both procurement policy and our visa and guest worker policies that Buy American and Hire American rules have been enormously diluted over time. And here we’ll walk through more details on Buy American, but the waivers and exemptions process in Buy American have been abused greatly, resulting in many lost job opportunities for American workers. And similarly, the Hire American rules that govern many of our visa and guest worker policies have gone unenforced or have been abused to the point of rendered, in some cases, even inoperative,” said James S. Brady a senior White House official. 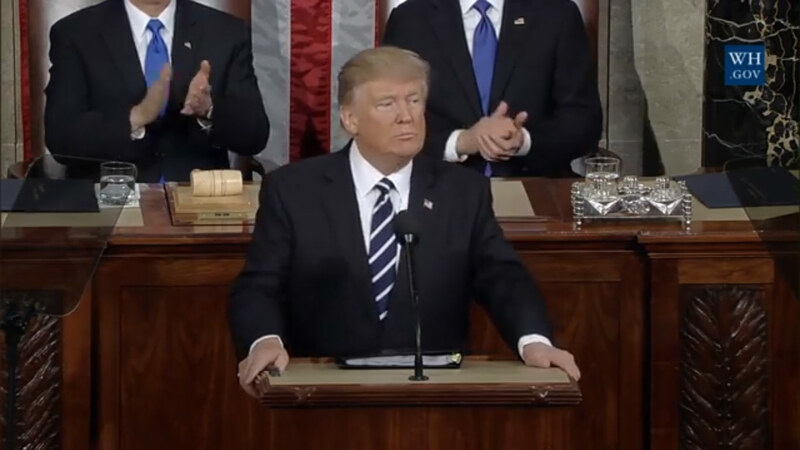 “And what immigration reforms take place after that, and the kinds of bigger changes you could see — as the President talked about in the State of the Union — to create a merit-based immigration system governing our entire immigration policy — I could foresee scenarios, which I won’t get into now, where you just have a whole different way of looking at immigration. So this is a transitional step to get towards a more skills-based and merit-based immigration system,” he added. The executive order was signed during Trump’s visit to the headquarters of Snap-On, a tool manufacturer in Kenosha, Wisconsin. The order falls in line with the promises made by Trump during his run up the election. The ‘America First’ campaign had focused highly on reforming the H-1B visa program and bringing back manufacturing jobs to America. (a) “Buy American Laws” means all statutes, regulations, rules, and Executive Orders relating to Federal procurement or Federal grants including those that refer to “Buy America” or “Buy American” that require, or provide a preference for, the purchase or acquisition of goods, products, or materials produced in the United States, including iron, steel, and manufactured goods.